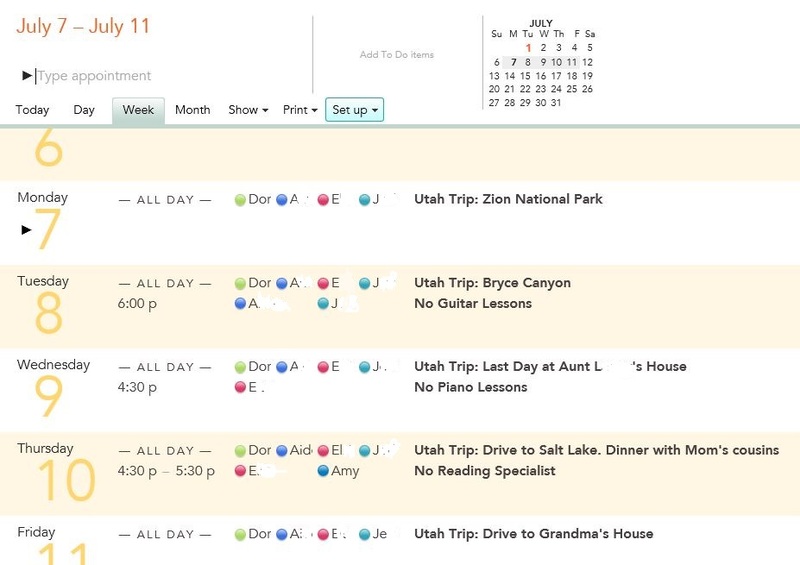 When you’re about to head out on vacation, your calendar can be a great tool to make sure all of your bases are covered before you leave. In a recent post, Your Family Calendar is Your Safety Net, I talked about why you should keep recurring appointments in your calendar. Well, here’s another reason. We take for granted just how many people we work with every week — the piano teacher, the guitar instructor, the reading tutor, etc. When you are about to head out on vacation, you need to contact all of these folks to cancel those appointments. My advice: If you’ve already got them in your calendar, as you contact each person, instead of deleting the appointment, update it to say “No Piano Lesson Today” or something to that effect. It will serve as a reminder for you that you DID contact them and cancel for that week. And if you’re constantly being interrupted and can’t contact everyone all at once, when you go back to that task, you’ll know who you’ve already contacted and who you still need to contact. Looking at the week of our vacation, not only do my kids know what we’re doing each day but I have confidence that I’ve cancelled all of our appointments and that I’m ready to go. Because I can literally see it in my calendar! Posted in Working Parents.Tagged summer vacation; vacation planning; family calendar; time management.